In this modern world of continuous development of human being existence, only those people who have abilities to adopt the changes and ability to deal with other people, live a premium life. One of the most important abilities to deal with people, is to have good English communication. In countries like India, the youth population has to greatly deal with English communication and its fluency. People lag behind because of poor English fluency in spite of being good in their respective academics. They join English speaking classes and tuitions but don’t find much change in their fluency. Now, the question is, “Why after so much of efforts in tuitions and classes there is no much improvements seen?” If you see the efforts of people trying to learn to speak English, it’s directed towards learning English through grammar. We have studied grammar in our primary education and say in 6th or 7th standard. We hardly remember any of the grammar aspects as it was boring and definitely no fun. The second question is “Is it really required to learn grammar first and only then, you can speak good English?” The answer is “NO”. Now, if you go to America and ask someone if he knows anything about adjectives, he would definitely say “Not exactly”, but he has been using it since his childhood. 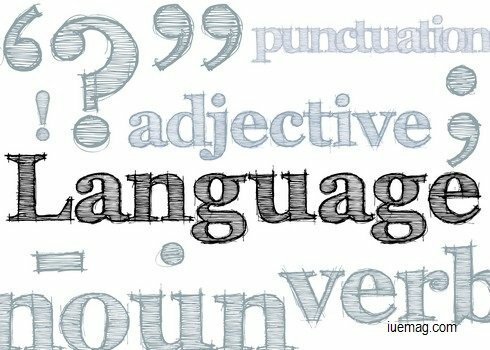 Consider your mother tongue, were you, at the beginning, taught grammar by your parents and then the language? We have been speaking our mother tongue since our childhood unaware about its grammar. You can speak fluent English without learning the boring grammar. If you see today’s generation they are prone to technologies, fun activities, watching movies, listening to music and of course, they don’t want to have any boring classes and tuitions. What if these interests of youth are being used to improve their English fluency? You learn any new language when you are surrounded by it completely for days because you listen to that language again and again and memorize it naturally. Similarly, make an artificial environment of English language around you by using ESL Podcasts in your cell phones, that is, the audio clips of good English content. Keep listening to the podcast while travelling, at break times and spare times. ESL podcasts would help you in two ways, that is, if you repeat continuously what you listen, you would have a good muscle work of your mouth to adopt the accent and second a good knowledge about the content like if you have podcast of management guru Chankya, you would gain good management skills. There are many audio books available which you can use to develop your language. Similarly, if you are a song lover, you can listen to English songs and try to gain the words and their meanings. People love watching movies and children like to watch cartoons. So, watch movies and cartoons available with the sub headings. Seeing the sub headings and actions in the movies will make you understand what conversations are happening and also can learn the accent used in it. You will not feel bored, instead you will gain interest in watching and learning. Watching will also help you to understand about the expressions and way of speaking. There are many conversational transcripts you can easily surf that are available with audio clips. This would help you in pronouncing the words correctly and with proper accent by observing and listening the words in the script. Websites like better-english.com has good conversational transcript that would definitely help you with it. This will help you in understanding and developing skills to have proper conversations with different people. Now it is very obvious that you will not understand the meaning of all the words you listen or read. So maintain a notebook and note down unfamiliar words with their meaning and a complete phrase through which you could know about the word. You can use applications in your cell phones rather than finding it manually to reduce your time consumption. This would help you to memorize the meaning of the word. Try to use those words in your daily conversation so that you become use to those words and can use it appropriately. Sometimes it happens that you don’t understand the meanings also. For that, find the meaning of the meaning, this would help to understand the words more clearly. Implementing above techniques will also teach you the slang language that is being used in American English. Idioms and phrases would improve your way of speaking English in impressive ways. Slangs, Idioms & Phrases are generally used in conversations to make it effective and appreciative. If you have all these in your language then you will get highlighted automatically in any group getting more importance. This is a method used when you purchase something. For example, say you have bought a new tooth paste which has a detailed packing. Now look for the new words printed on the box that you are unfamiliar of and try to find the meaning of those words. This would help you to know some technical words which you may not come across frequently. So now you have gained technical words which would help you to understand the basic terminologies used by corporate and company people. We have this habit of translating the meaning of the words in our familiar language other than English. This leads to complete breakage of our communication flow as we don’t perceive anything in English which is a very big drawback. Some people translate meaning even into their mother tongue which is totally wrong. Translate the meaning of the words in English, only to have the English environment stable. Doing all these activities will surely give you results in developing you English fluency. You will feel very interesting in learning English without having boring grammar. You can use your technologies effectively to improve your standard of speaking English. Hope readers would implement these tips and will improve the English fluency.